It's here! Unilever is proud to be bringing in a new brand that not only promises to make you prettier, but also allows you to make one small step for the planet at a time. Say hello to Love Beauty and Planet! Unilever's newest baby is a range of shampoo, conditioner, body wash and body lotion that aims to have as little carbon footprint as possible. 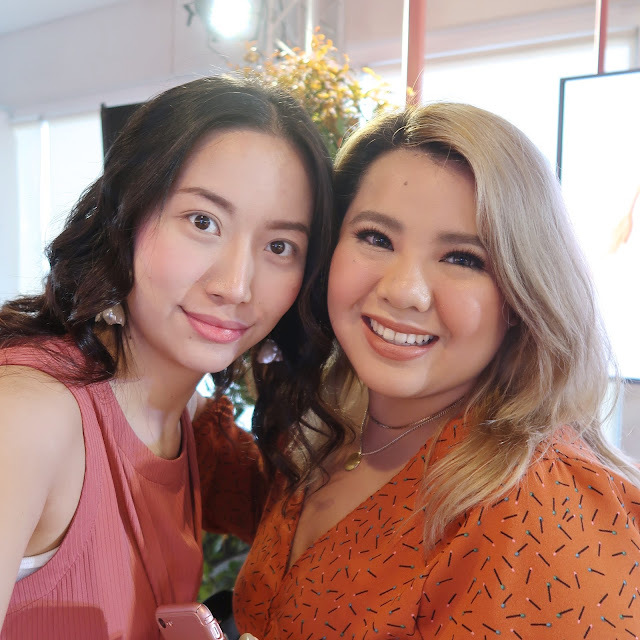 This has been around from January 2018 in some markets, and it's great that they're bringing in the brand to the Philippines within just one year. To learn more about the brand, we were invited to the grand launch the other day. 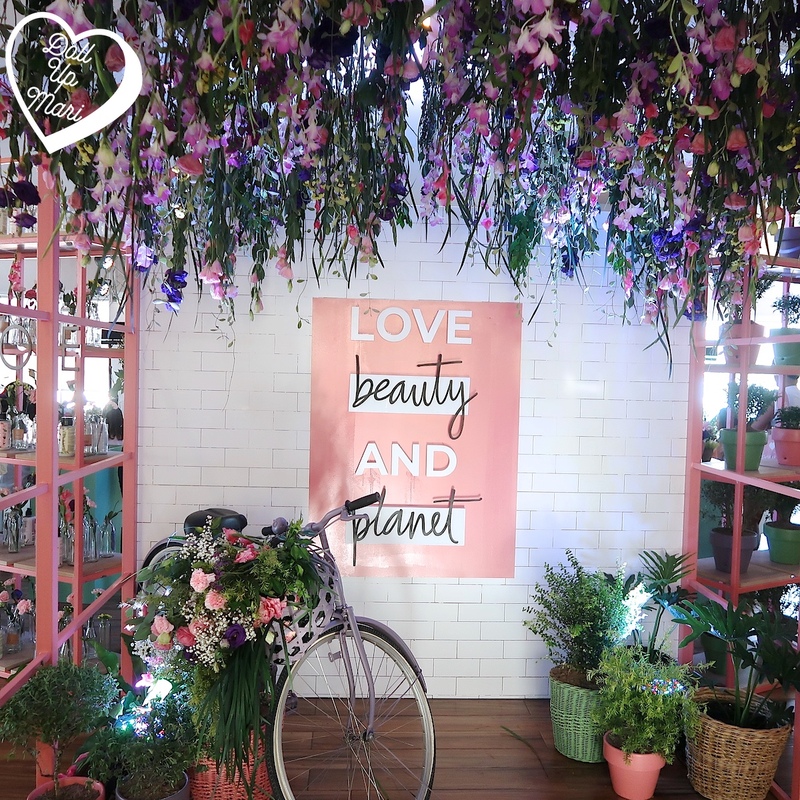 As the brand is all about naturally sourced key ingredients for the products, there was a whole botanical theme going on. 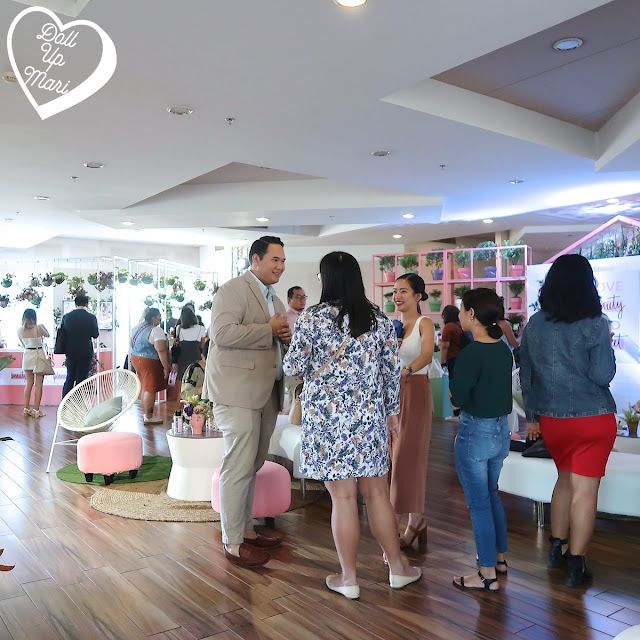 Guests mingle, and of course, there is a lot of curiosity around this brand. It's the first brand I know of that has entered the mass/masstige market with the main selling propositions revolving around sustainability and consumer consciousness. Usually, it's the socially woke consumers who do their own research to find brands that suit their social causes. 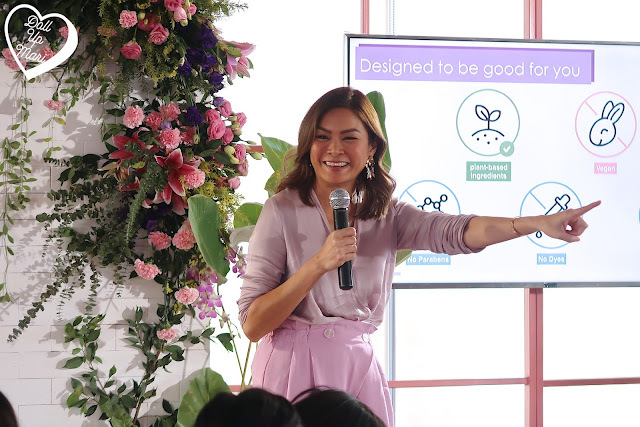 But this brand is already coming forward and presenting itself as the socially responsible brand that people can rely on to start a sustainable lifestyle. 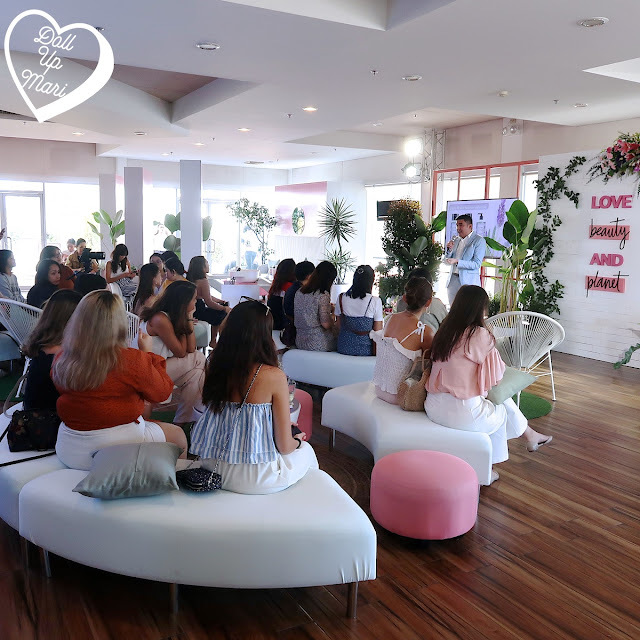 The brand is of course much more than just fragrant toiletries so they had a detailed discourse on the brand's features. As usual, the radiant and forever glowing Apples Aberin, head of Unilever PR, is the host for the event. 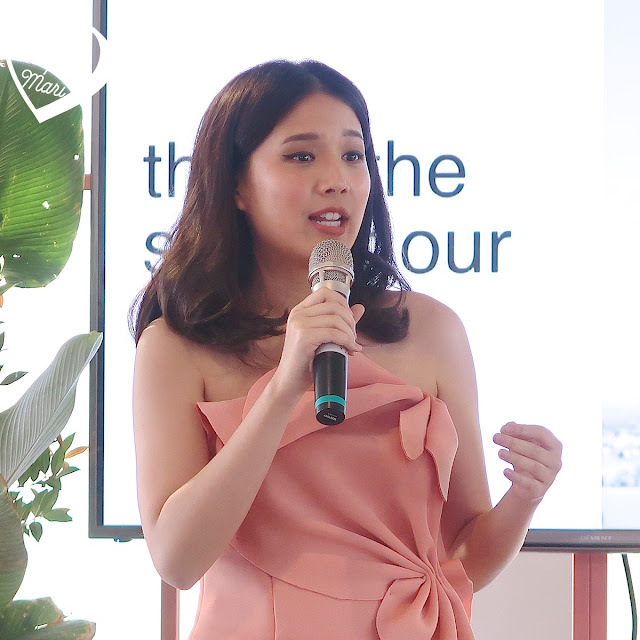 She admits that she, too, is just getting started on the sustainable lifestyle, and is excited about what the brand stands for. Clint Raypon, Unilever Premium Business Group Manager, talks about the different variants and ranges for the products (which I'll discuss further down this post!). When I spoke to him, he was excited about the fact that in other countries, all variants are doing well. Personally, I find the variants to be very very different from each other in fragrance and key ingredients, so it's also very easy to see which variant you'd want to use. 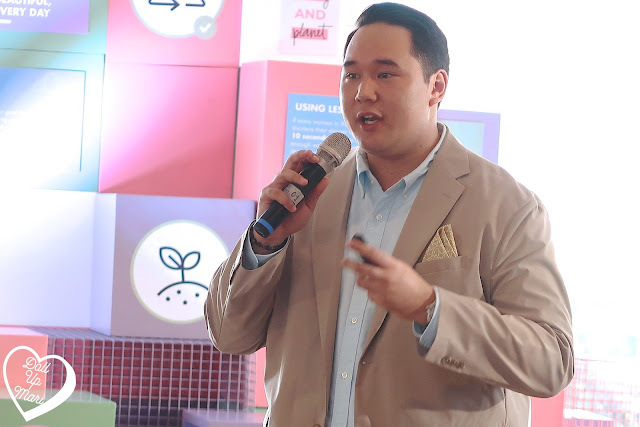 There is still much to be done, but he is excited to have this as the first baby step of Unilever towards sustainable living. Daniella De Leon, Unilever SEAA Hair R&D Total Project Lead, and Karen Ibañez, also a head from R&D, explained the various explorations they did to come up with the final product. They created a product with no dyes, no parabens, no silicone. More importantly, they made products with fast rinse technology. This means that they're not that 'slippery' that it takes little effort to rinse them off. The goal was to help consumers use less time, and more importantly, less water, so that the product can truly be good for the planet. 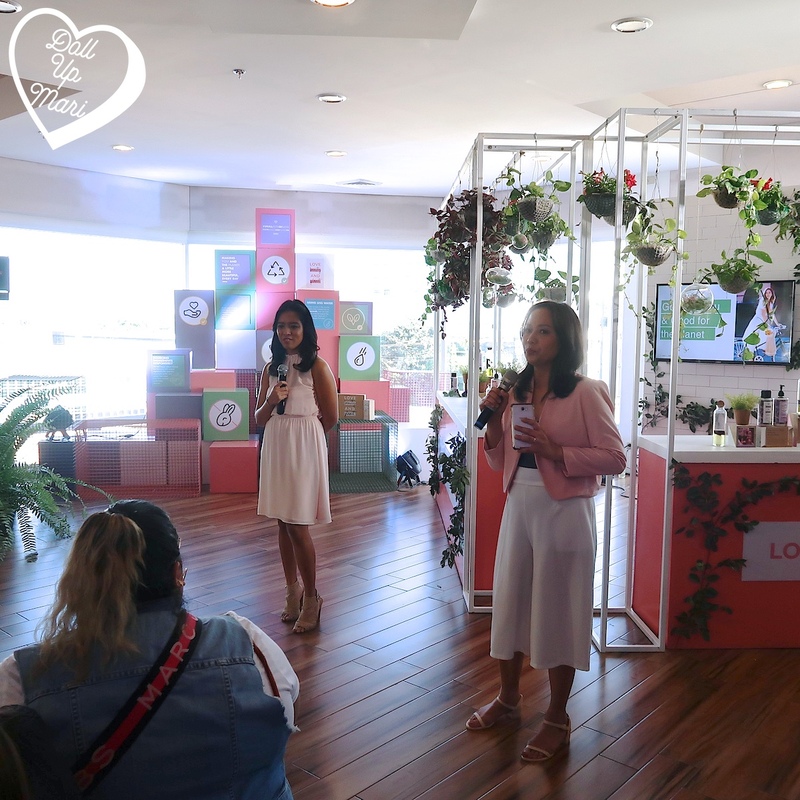 They also discussed the various sourcing efforts their team undertook to be able to come up with products that are sophisticated, but have ingredients that have been ethically sourced from natural resources. 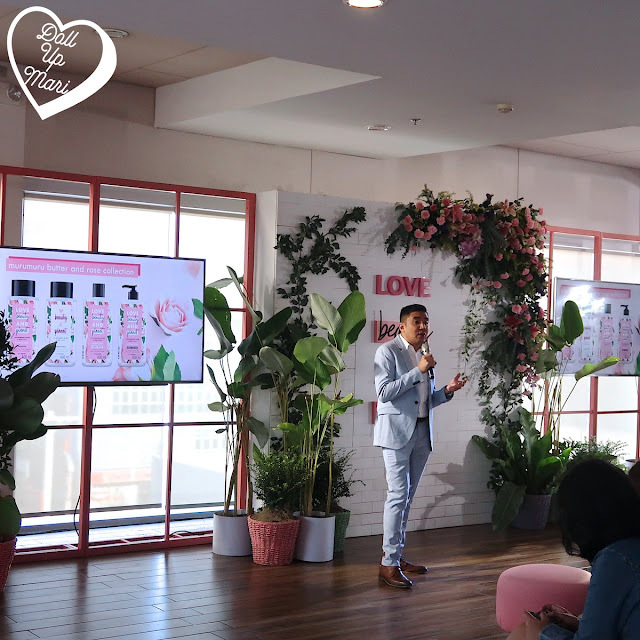 Robert Hechanova, Brand Manager of Love Beauty and Planet, shared the exciting aspects of the sustainable aspects of the brand. The three pillars of the brand's sustainability are sustainable sourcing, water use reduction, and waste reduction. For sourcing, they have a high standard for sourcing partners to ensure integrity, and work with communities closely to ensure ingredient quality and supply security. As for water use reduction, as mentioned, they have fast rinse products. They found that if every woman in the country reduced their shower time by 10 seconds, that amount of water can be used to supply the water needs of 11 million people that year. For waste reduction, they aim to 'close the loop' by dispensing the products in 100% recycled bottles that are also 100% recyclable. 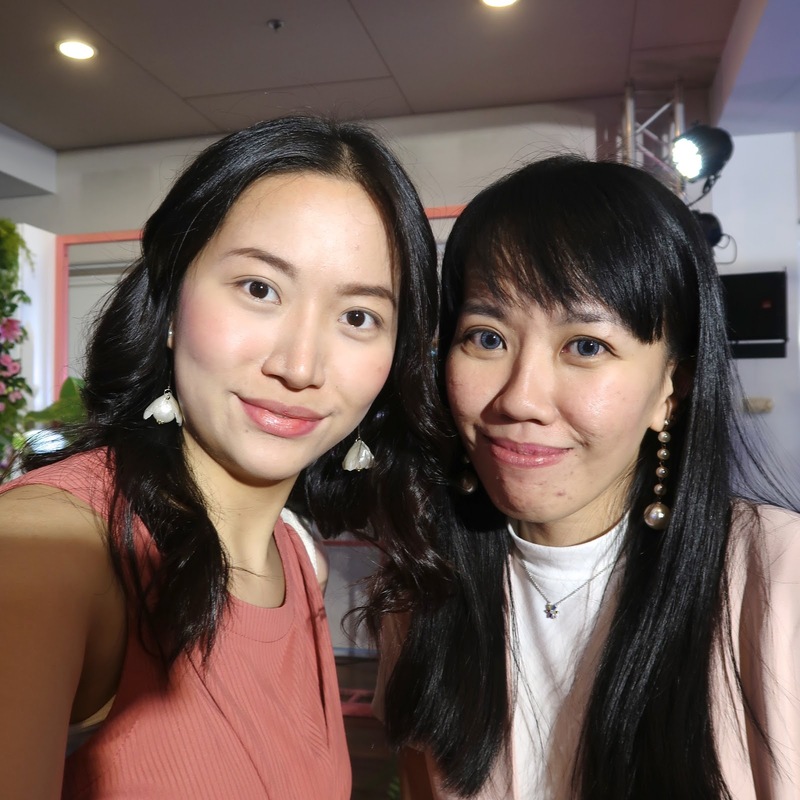 Influencer Winnie Wong was also there to share her thoughts about the brand and about how this has been eye opening for her in exploring sustainable living. Aaaand, here are the products!!! 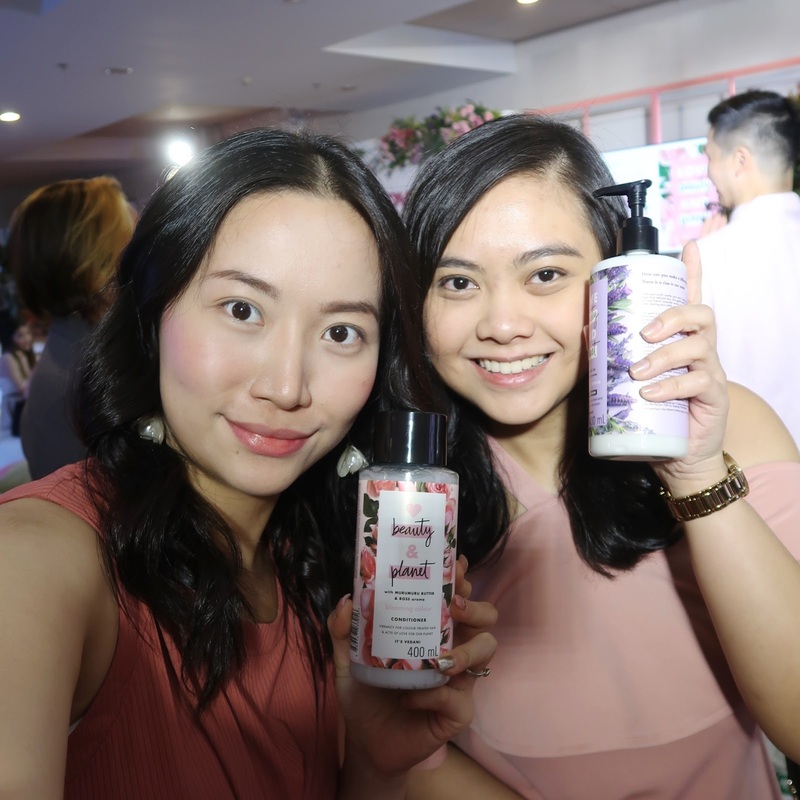 They have shampoos (Php390 per 400mL bottle), conditioners (Php390 per 400mL bottle), body washes (Php290 per 400mL bottle), and body lotions (Php390 per 400mL bottle) available in three variants. The shampoos boast having plant based cleansers and being able to provide high levels of wet conditioning. The conditioners also have plant based detanglers, organic coconut oil(which makes it smell amazing BTW), and fast rinse technology. Their body washes also have plant based ingredients, while their body lotions are proud to not have silicones and parabens. This is their Murumuru Butter and Rose collection. Murumuru butter is a lot like shea butter, but this one is a special type of plant from Brazil. The roses in this range are sourced from Rose Valley in Bulgaria. This collection has shampoo, conditioner, body lotion, and body wash. The shampoo and conditioner from this range specifically target colored hair, keeping it vibrant and soft. And if I may add, the haircare products make hair smell sooo good for over 10 hours, adding an interesting touch to one's day. The body wash and body lotion aim to make skin soft, glowing, and with an irresistibly decadent rose fragrance. And then this is their Argan Oil and Lavender collection. The argan oil is from Morocco, while the lavender is sourced from France's Drôme Provençale region. This range has shampoo, conditioner, and body lotion. 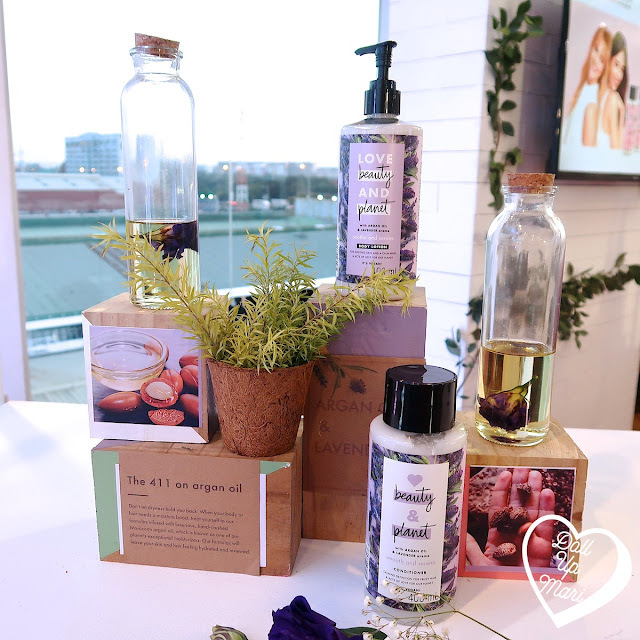 This collection aims to make hair healthy and to soothe skin. BTW, the lotion is soooo fragrant! Everyone in the venue could not help but go gaga for the lotion. It's so addicting that you'd keep on wanting to reapply this. The lotion also gets absorbed really really quickly, that I was positively surprised that as I was just applying it, it was already "vanishing" into my skin. And then we have here their Tee Tree Oil and Vetiver collection. The tea tree oil is sourced from Australia, while the vetiver is sourced from the Les Caves region of Haiti. This collection has shampoo, conditioner, and body wash. The haircare products of this collection aim to detoxify and cleanse the scalp, and to volumize hair. For those who are looking for products that also sort of 'cleanse' the airways, I think y'all will love this. 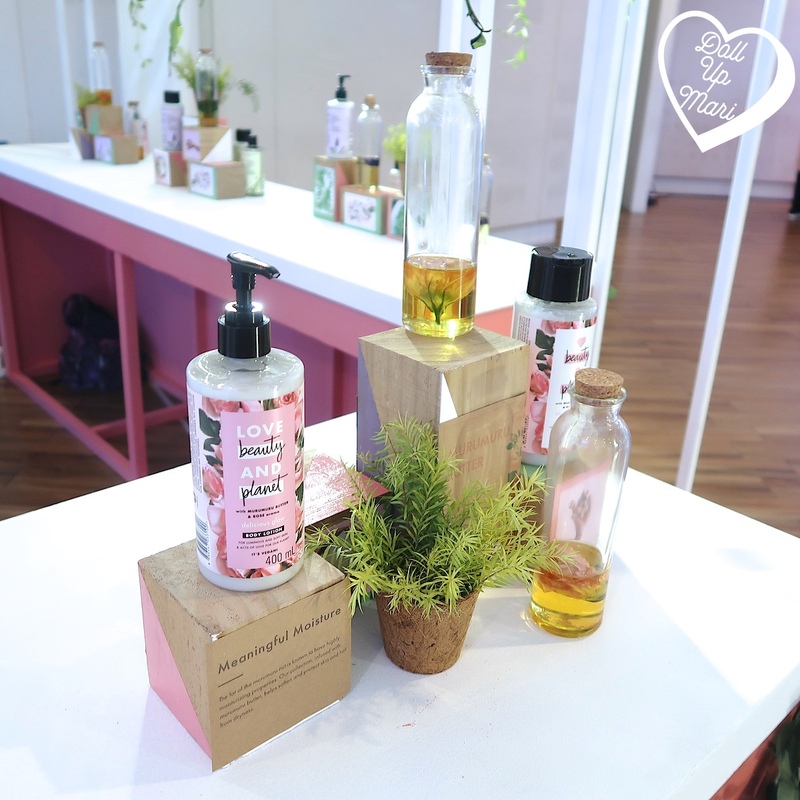 Fellow event goers who had backne also had their eyes set on the body wash of this collection due to its tea tree oil. 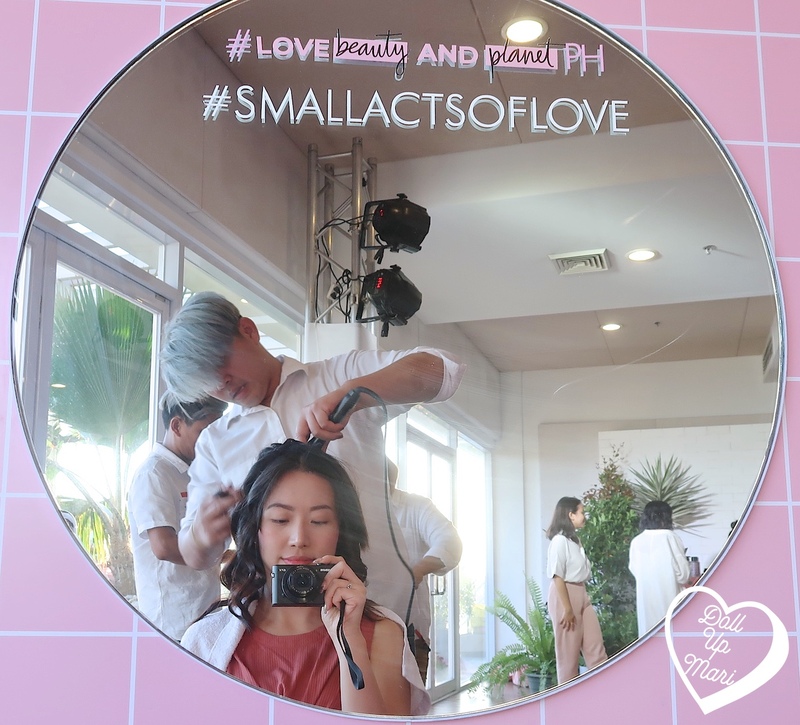 To let us see for ourselves, we were treated to hairstyling courtesy of Creations by Lourd Ramos salon. By the time it was my turn, since it was already sunset time, my hair was of course already weighed down by dirt. I asked them to use the Tea Tree and Vetiver variant on me. Ta daaaa. 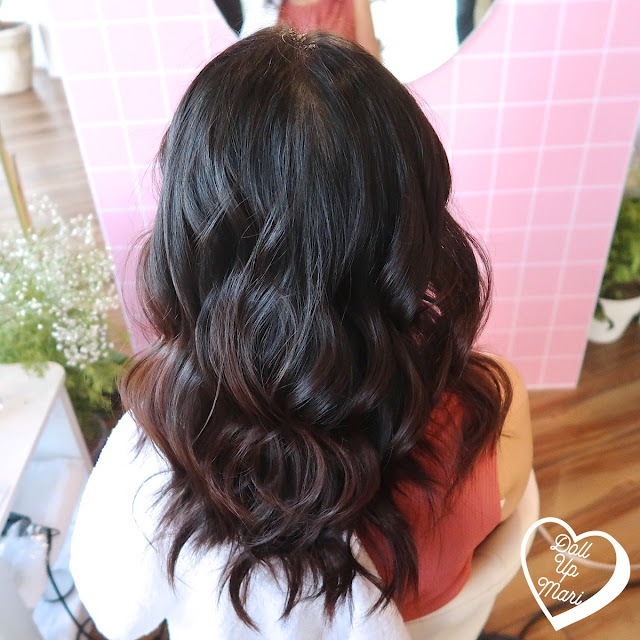 K-style mermaid waves!!! And with Caitlin, who was my fellow Brandstorm player waaay back in 2015. This is the first time we're seeing each other since 2015!!! What's so exciting? Love Beauty and Planet will be available via Lazada and other e-commerce retailers starting January 21, 2019. The box I'm posing with is the box they'll ship products in, as they want to not use courier plastic pouches. This is the first time I've seen a brand make such efforts, so this is promising! They'll also be doing a popup store at Powerplant Mall on January 25-27, 2019. The brand will officially make its way to brick and mortar stores (selected drugstores and department stores) starting February 1, 2019. Shampoos, conditioners, and lotions are priced at Php390 per product, and come in 400mL bottles. 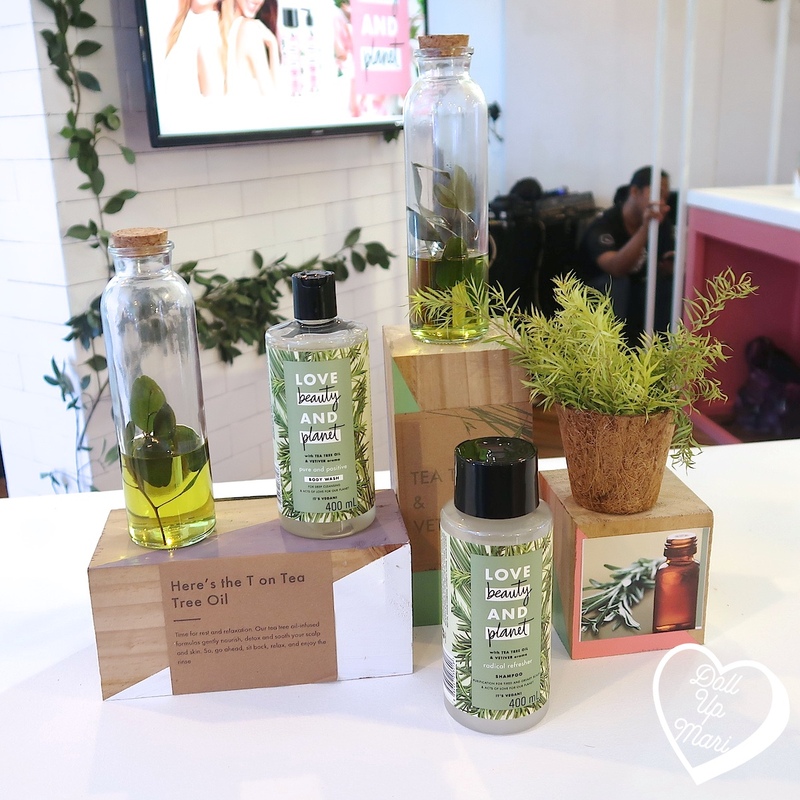 The body wash is Php290 for each 400mL bottle. Let's all do small acts of love for the planet, one shower at a time!